We built our community around great food and great conversation—everything made from scratch, vegetables right out of our garden, distinctive dining spaces from pubs to bistros to patios, and fastidiously fresh food all prepared by award-winning chefs. We’re certain you’ll find a great combination of food and friends at Beacon Hill. Please select the area you would like to tour. We built our community around great food and great conversation—everything made from scratch, vegetables right out of our garden, distinctive dining spaces from pubs to bistros to patios, fastidiously fresh food all prepared by award-winning chefs. We’re certain you’ll find a great combination of food and friends at Beacon Hill. Each of our four dining venues is under the supervision of award-winning Executive Chef, Tim England, and his finely trained staff. This incredible team works in harmony with residents to ensure that each meal served is fresh, nutritious, and delicious. 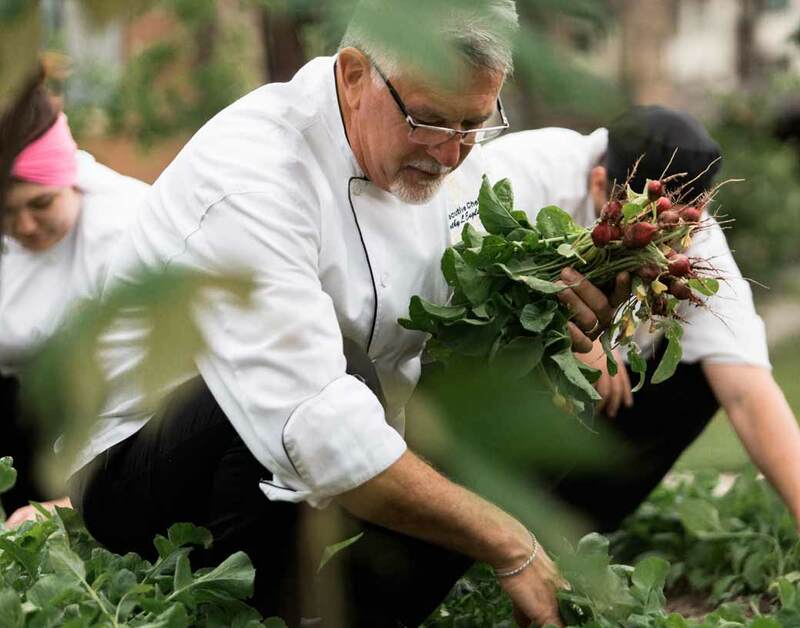 Chef Tim embraces the farm-to-table experience and delivers consistently imaginative and appetizing meals that are acclaimed by guests and visitors alike. 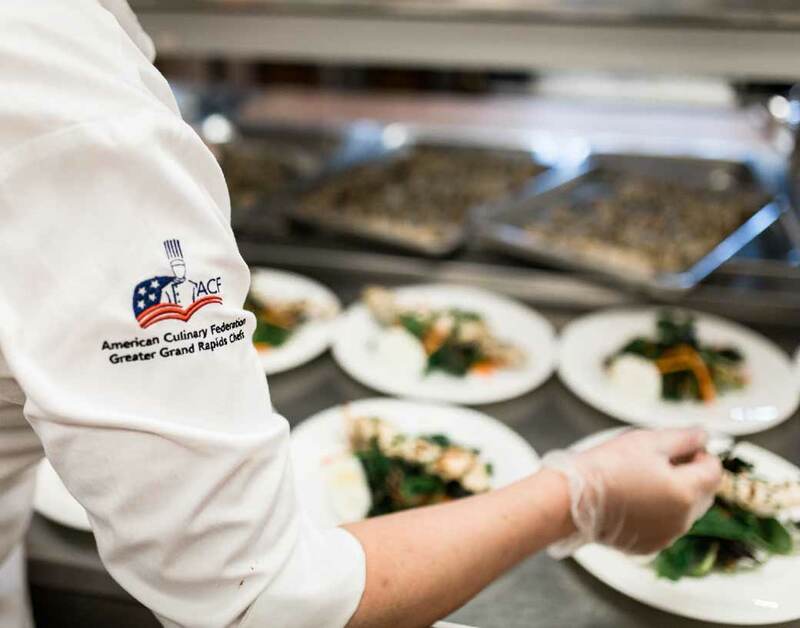 In 2015, Chef Tim was recognized by the American Culinary Federation Greater Grand Rapids Chefs Association as Chef of the Year – their most prestigious award given. We’re certain you’ll agree, meals at Beacon Hill at Eastgate are some of the very best you will ever taste. Beacon Hill’s restaurant-style philosophy affords residents, family and friends several different dining venue options. Our bistro and bake shop with wood-fired oven serves quick and easy, made-to-order food. The Garden Café – with indoor and outdoor seating – serves farm-to-fork fare and sits just steps away from our beautiful community garden. 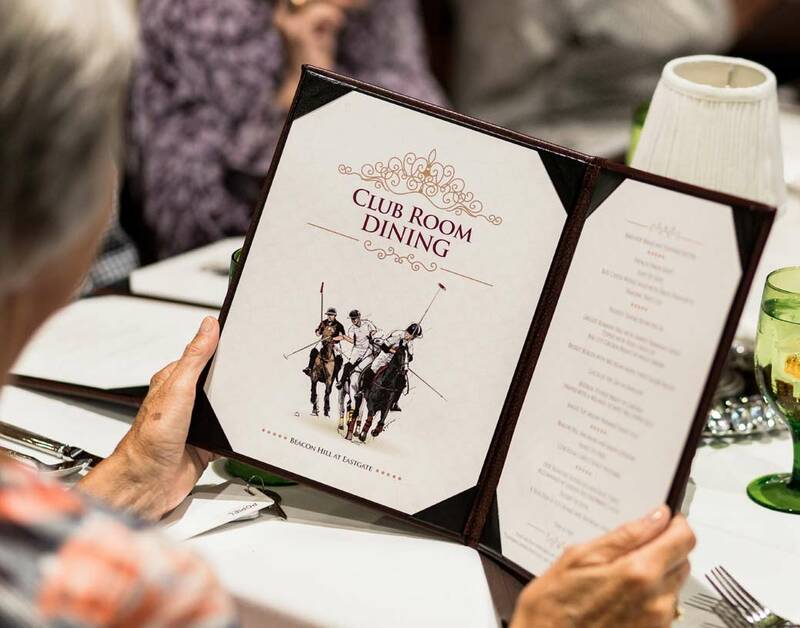 Our Club Room and elegant dining rooms offer residents a more upscale dining experience in a casual atmosphere. Together, we are able to accommodate all types of appetites in each dining experience. Beacon Hill at Eastgate has its very own half-acre, on-site garden where residents enjoy cultivating, harvesting, and reaping the benefits. Our team of top chefs is pleased to accept resident requests for their prize crop to be served as part of their meal. Beyond the garden’s abundance of cabbage, asparagus, tomatoes, and raspberries are bunches of beautiful flowers used for adorning our dining tables. Fresh, healthy, exceptional dining is a chief differentiator that sets our senior living community apart from others. "There’s nothing like personal stories from our very own residents to help you better understand the benefits of living at Beacon Hill at Eastgate. Please take a few minutes to enjoy them for yourself. We’re certain they’ll help paint a truthful picture of senior life lived at its best."